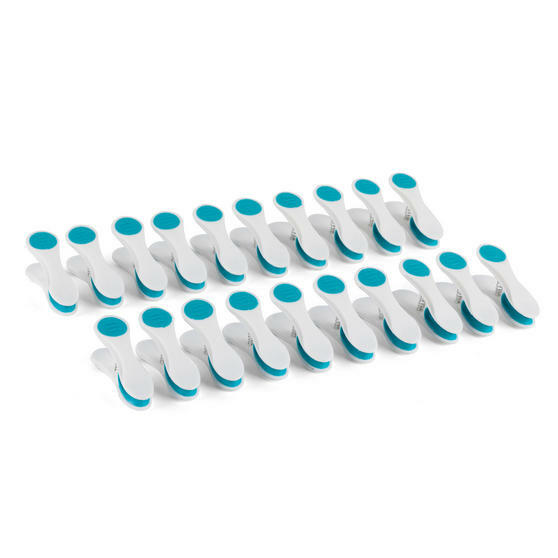 Brighten up your washing line with these fabulous Beldray soft grip pegs, which have a bright turquoise and white finish, making them impossible to misplace. Cleverly designed with soft grip pads to prevent leaving any marks on fabric after washing, compared to traditional wooden pegs these are superior quality. 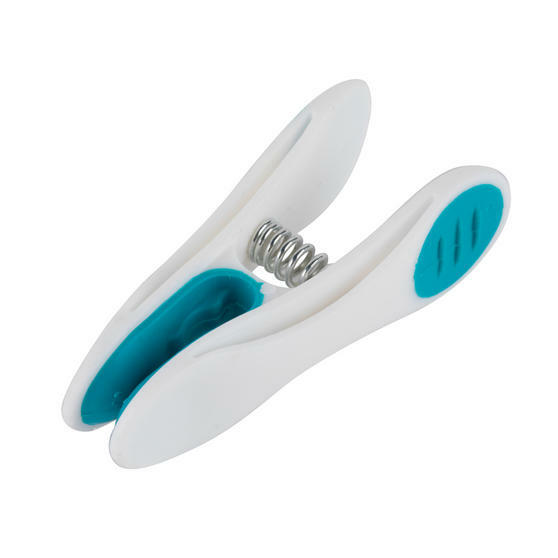 An essential in every home, the pegs also have superb spring strength and wide jaws, so that they can hold thick and heavy items of clothing, keeping a firm grip even on the windiest days. 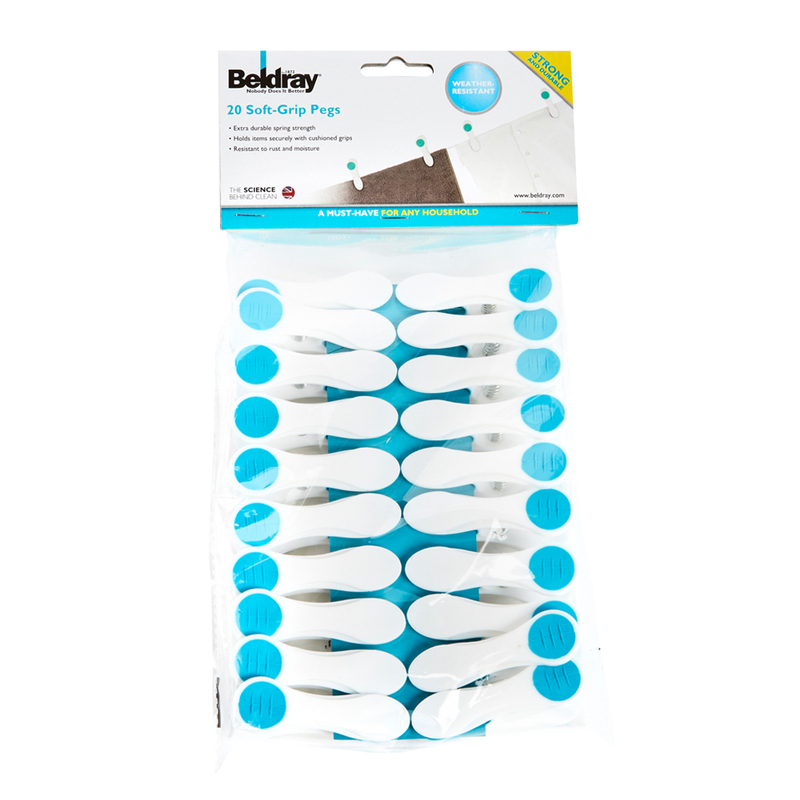 Revitalize your washing line with these amazing Beldray pegs, this pack including 20 individual pegs with a unique soft grip design. Made with strong waterproof plastic, the turquoise pegs also have anti-slip finger pads for hanging up your fresh laundry with total ease. Each peg measures at 7 cm in length and will securely hold even heavy items of clothing, the rubber grip enduring any windy weather.